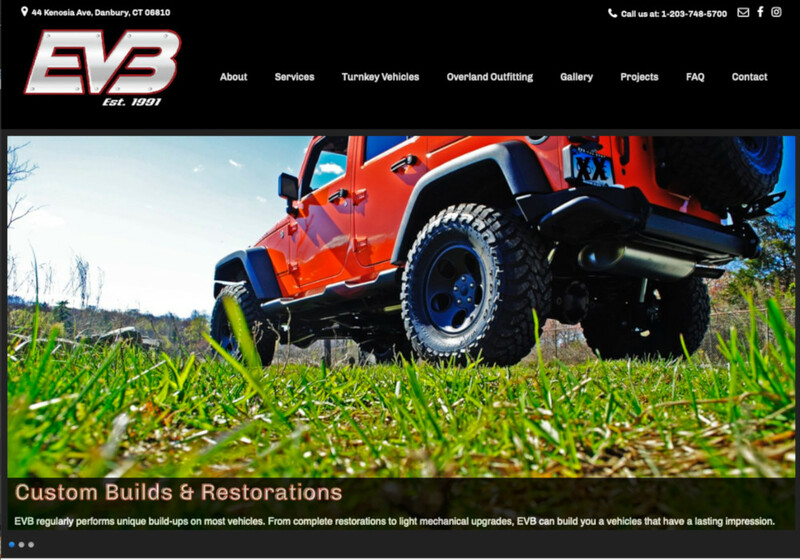 EVB had an existing website that needed to be updated to demonstrate all of the amazing custom work that they do for all types of vehicles. And they needed a design that would capture the essence of their custom vehicle builds, full vehicle makeovers, and restorations. I created a new design for the website bringing over a lot of the existing content while the client focused on indexing details related to their vast photo gallery. Every project is different and the scope of each project can vary. Sometimes I do the entire project from beginning to end, other times I provide my services as needed. Do you need just a little help with your website or a lot? Let's discuss how my abilities can improve the look and functionality of your website.